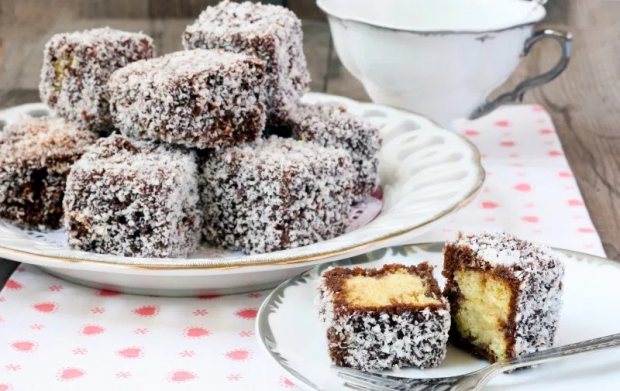 Lamingtons are one of the most famous Australian desserts in the world. They are small squares of very, very soft vanilla cake. The outside is a thin layer of chocolate. Finally, they have dried coconut flakes sprinkled all over them. 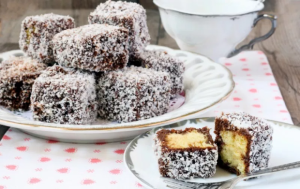 I would like to eat lamingtons everyday… but they are not very healthy. Pavlova is a dessert is for special occasions. It is round like a cake but served in slices. The outside is a meringue, which is stiff egg whites with a bit of sugar, baked at a low temperature. 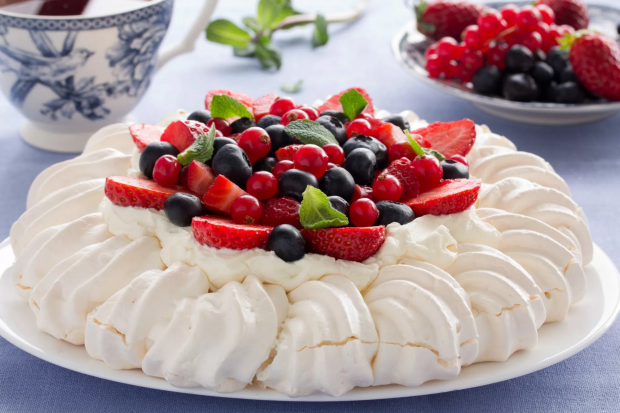 Pavlova is filled with heavy whipped cream and has fresh fruit at the center. Vanilla Slice tastes nice with coffee, and is often served at coffee shops. It is made in a large pan, and served in medium sized squares. 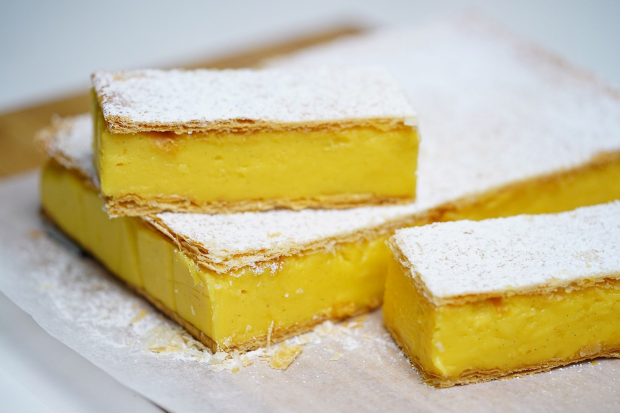 There is a top and bottom layer of pastry crust, and the filling is -of course- vanilla pudding! Many cafes also put powdered sugar on the top. 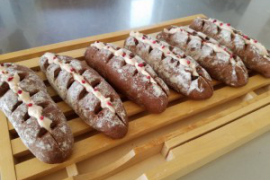 Do you like foreign desserts? Of these 3, which one would you choose? *To “never pass up [noun]” = “I always say yes to [noun]” What food can you never pass up?